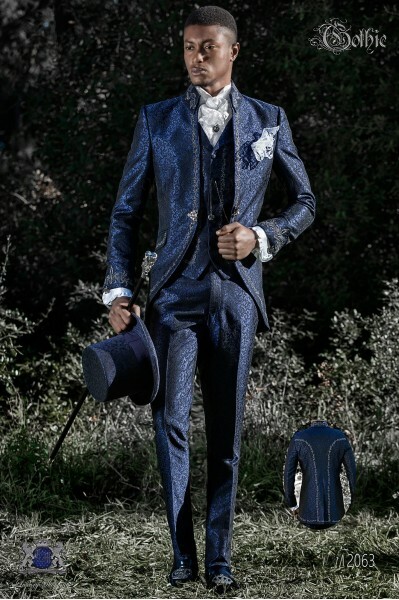 Blue Redingote There are 20 products. 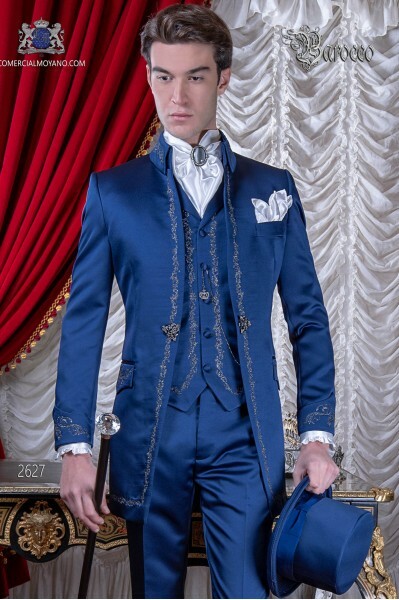 Royal blue and golden brocade baroque frock coat with golden strass and closure. 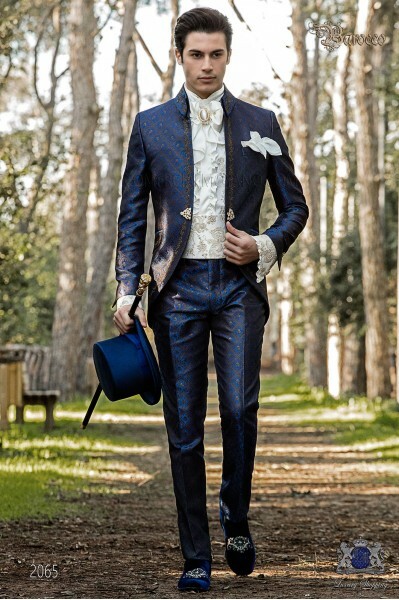 Tuxedo wedding suit 2571 Baroque Collection Ottavio Nuccio Gala. 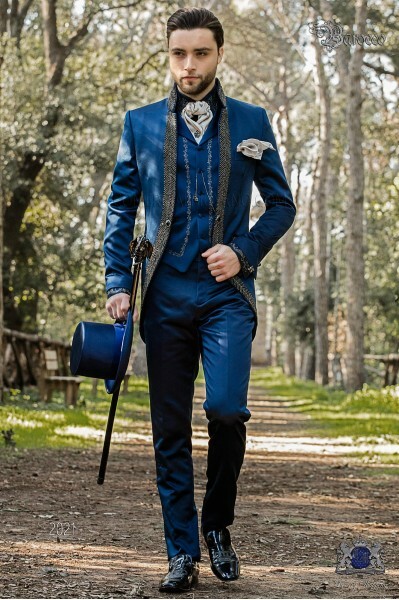 Coordinated with blue satin vest and trousers. 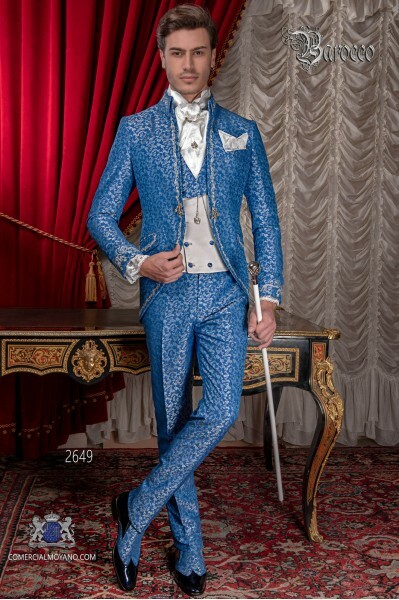 Baroque wedding suit made of fabric and yarns blue satin embroidered in silver. 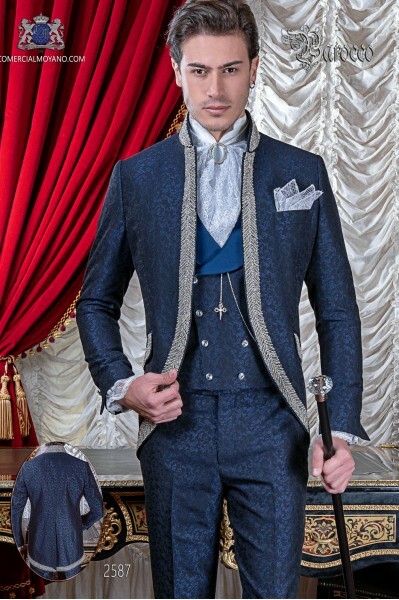 This is a vintage coat model with turtleneck and matching cuffs, which have been embroidered by a traditional process using silver yarns. 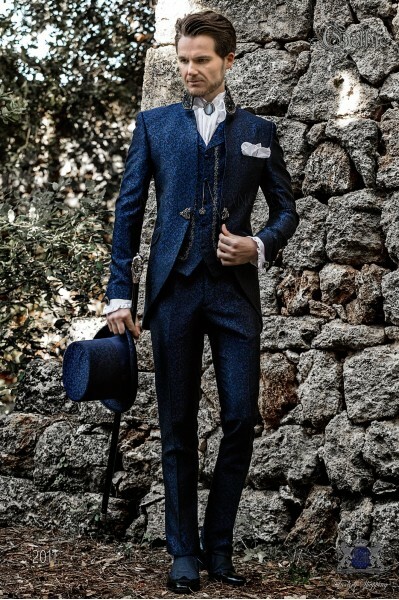 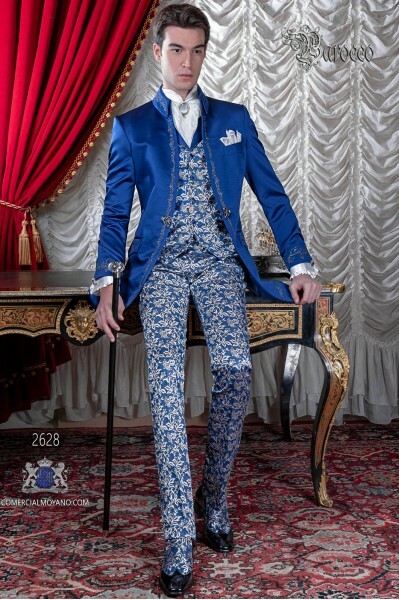 Tuxedo wedding suit 2627 collection baroque Ottavio Nuccio Gala. 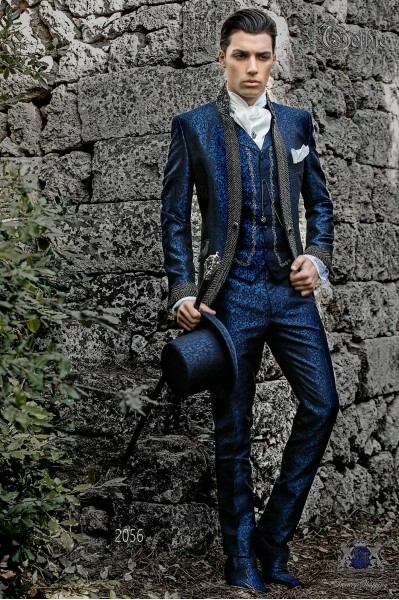 Baroque wedding suit made of fabric and yarns blue satin embroidered in silver. 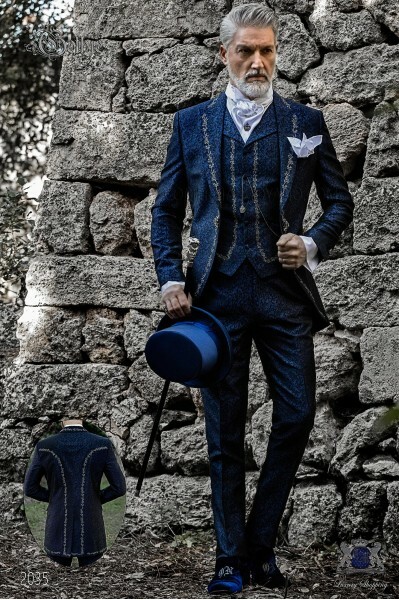 This is a vintage coat model with turtleneck and matching cuffs, which have been embroidered by a traditional process using silver yarns. 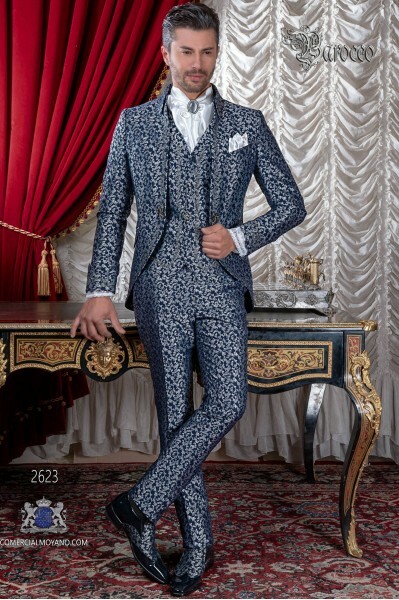 Tuxedo wedding suit 2628 collection baroque Ottavio Nuccio Gala. 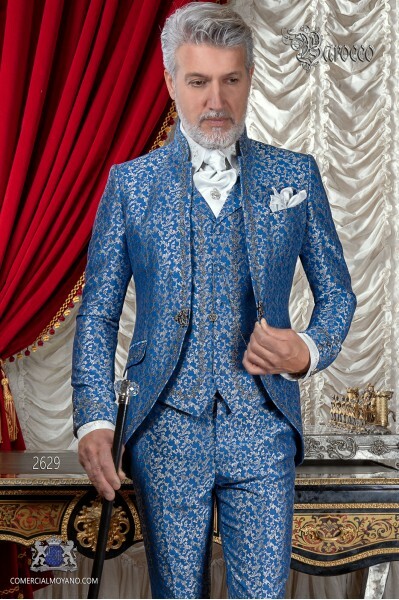 Coordinated with blue and silver brocade pants and vest. 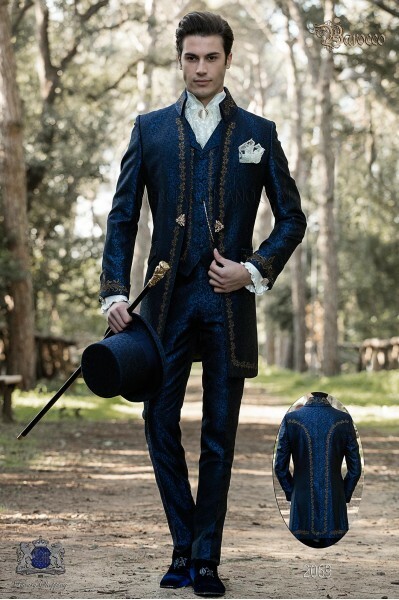 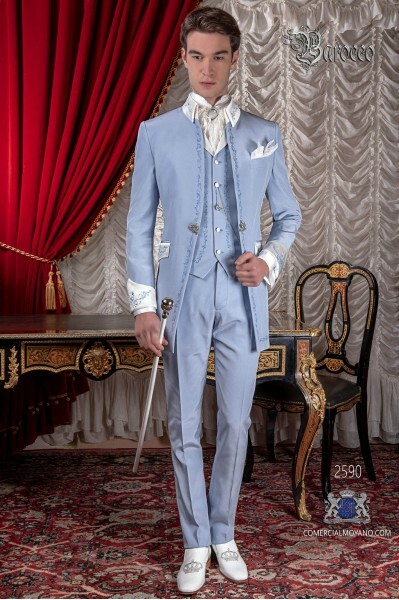 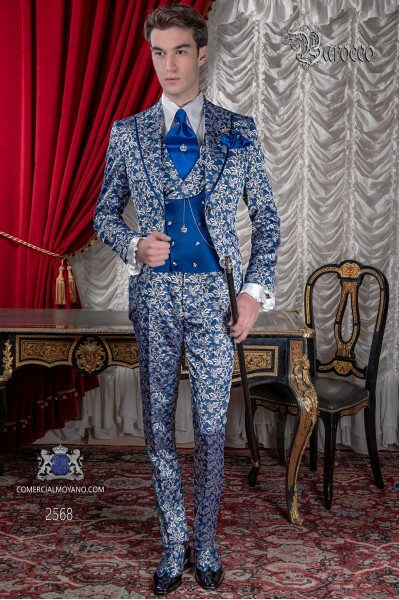 Baroque wedding suit, vintage frock coat in blue satin fabric with Mao collar with black rhinestones, model nº:2021 Ottavio Nuccio Gala Baroque collection.It comes with a suitcase bag Ottavio Nuccio Gala. 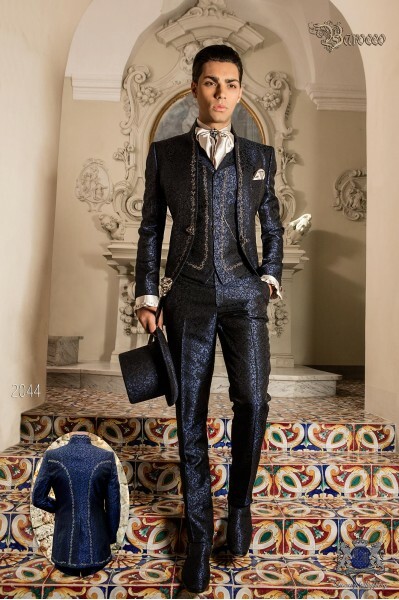 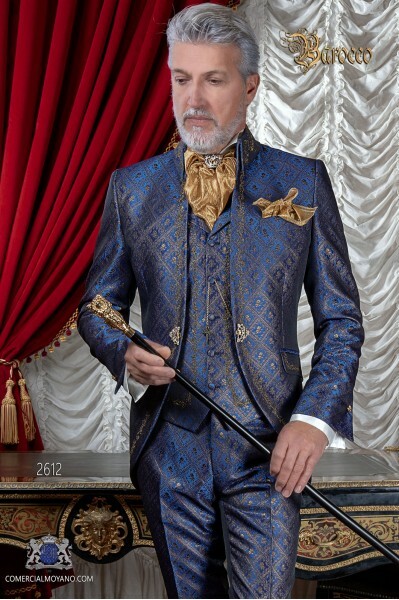 Baroque wedding suit, vintage mao frock coat in blue jacquard fabric with black rhinestones, model nº:2056 Ottavio Nuccio Gala Baroque collection.It comes with a suitcase bag Ottavio Nuccio Gala. 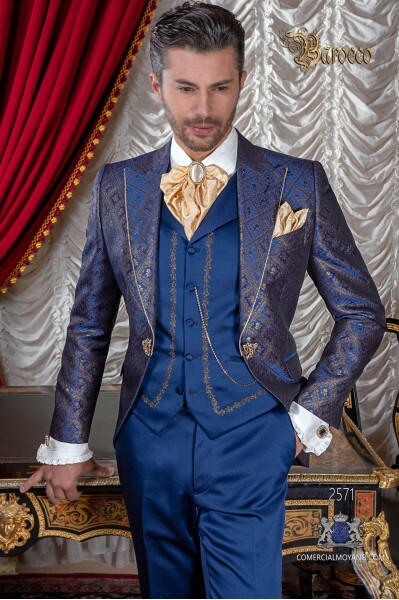 Royal blue and golden brocade baroque frock coat with golden strass and closure. 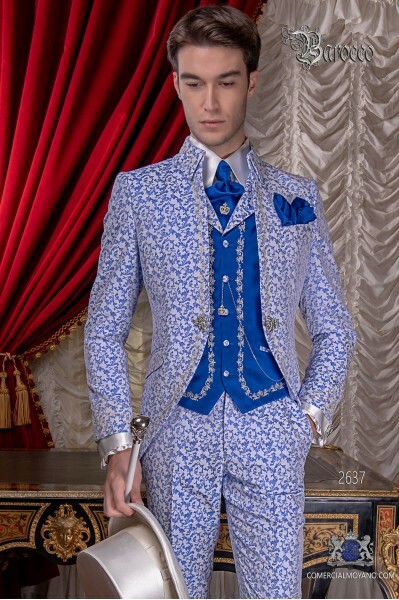 Wedding suit model 2005 Baroque Collection Ottavio Nuccio Gala. 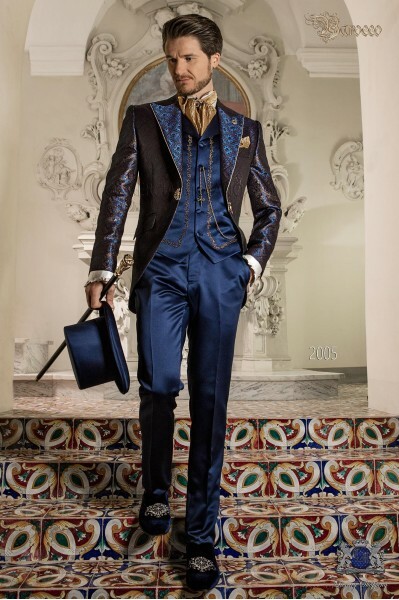 Vintage Men wedding frock coat in blue-black brocade fabric with Mao collar with black rhinestones, model nº:2011 Ottavio Nuccio Gala Baroque collection.